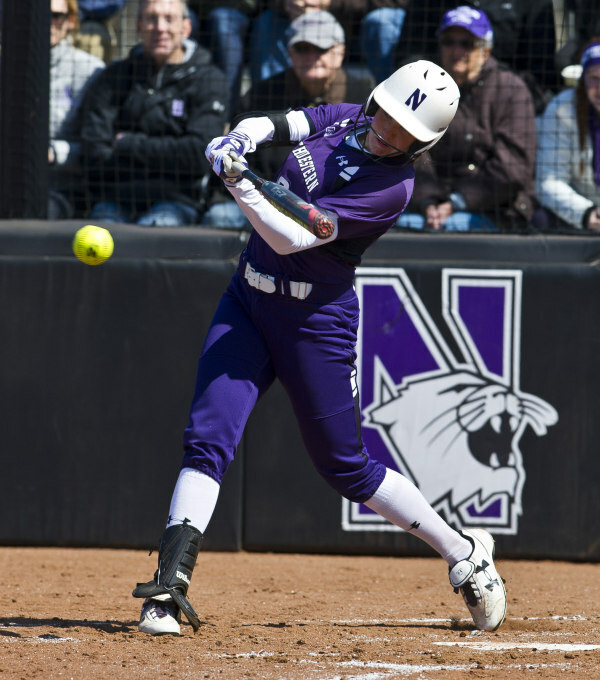 The Wildcats have gone on an impressive run, sweeping their past two series, both against Big Ten opponents, and stand undefeated in the Big Ten. However, they have their work cut out for them this weekend, as they face No. 15 Minnesota, their best opponent for the rest of the season, on the road. NU has played 5 games against ranked opponents, losing all of them by an average of just less than seven runs. This series will be a big test for Northwestern, which sits at No. 27 in RPI right now, and could jump into the Top-25 with a series win. To see if the ‘Cats can pull out a win against their toughest competition for the rest of the season, let’s break down the different parts of the matchup. As usual with Northwestern, this series will likely be three pitching battle games. Kristen Wood and Amy Letourneau should be fresh after a cancelled game on Wednesday so they’ll come at the Gophers with their full force. Kristen Wood will most likely start Friday and Sunday, with Letourneau wedged in on Saturday and available for relief if needed the other days. The duo pitched an ERA of 1.27 over the weekend, with 36 Ks in 22 innings, including a career-best 14 from Wood Sunday. Wood and Letourneau are as hot as pitchers can be right now, so Minnesota will have their work cut out for them. …but Minnesota seems like they’ll be able to handle that work with ease. Minnesota boasts a .337 batting average and an OPS of .1010. Led by Hannah Granger, who has a .396 average, and Tyler Walker with a .711 slugging percentage, the Golden Gophers have a solid lineup of hitters without many holes. Only two starters are sub .350, the worst of those, catcher Taylor LeMay, at .254. Otherwise, the Gophers have a bunch of good hitters, rather than few superstars, which means it will be a long weekend for Letourneau and Wood. The starting lineup has also only struck out 94 times in 834 at-bats, averaging about a strikeout every 10 batters. If Minnesota stays patient at the plate as they have, and force Letourneau and Wood to pitch longer and rely less on strikeouts, it will be a long game for the ‘Cats. While NU prefers the 1-2 punch, Minnesota goes with the haymaker; the brunt of the pitching goes to their ace Sara Groenewegen. Groenewegen started the past four games, three of them over the weekend, against Michigan, one of the top softball teams right now. With a week’s rest, she will most likely start every game and perhaps get some relief from Kylie Stober and Nikki Anderson if she’s tired, but only for an inning or two for the entire weekend. Groenewegen is 24th in the country in ERA with 1.50, and boasts a rate of 10 K/7IP and 2 BB/9IP. That strikeout rate is good for 8th in the NCAA and 1st in the Big Ten, ahead of Kristen Wood. With that kind of control, it will be a long day for the ‘Cats offense, and could turn into another weekend pitching battle, as last weekend’s Purdue series turned out to be. Northwestern will have an uphill battle against Groenewegen, but if anyone can hit off her, it’ll be the Andrea’s, Andrea DiPrima and Andrea Filler. DiPrima has recorded an OPS of .1340 and a batting average of .441, good for top 50 in the NCAA. Right behind her in the lineup is Filler, with a .409 average and 38 RBIs. With the speedster Sabrina Rabin batting leadoff, and Letourneau at cleanup, the top of the order will have plenty of firepower to take care of Groenewegen. Even if the top of the order falters, Sammy Nettling, who has homered in back to back games – one of them a walk off, the other the game deciding run – could keep her hot streak alive right in the 5 spot. The Gophers will be happy to get to the bottom of the order, as this group will be deadly to Groenewegen, and could blow open the game for ‘Cats. There are two very different battles happening in this series. Letourneau and Wood will have to outlast a very solid Minnesota lineup and stay loose, while Groenewegen will have to take care of Northwestern’s top batters before they overtake her. I think Friday will show Groenewegen strength, and Minnesota will come away with it. Sunday, Groenewegen will be tired, as Minnesota has struggled in Sunday games after a weekend series, and it will be easy for the ‘Cats to take advantage while Wood is fresh. So it basically comes down to what I believe will be a very close game on Saturday that I think will ultimately go to the ‘Cats; I just trust power hitters to find weaknesses in power pitchers and exploit them. Definitely stay tuned this weekend, as it will be a great series to follow, and hopefully a good one for the ‘Cats.